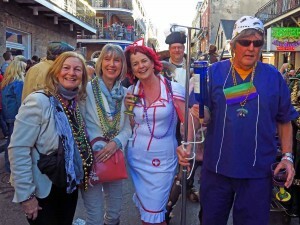 My Road Trip USA led to New Orleans a week before Mardi Gras Tuesday and that proved to be opportune. 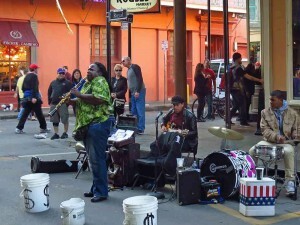 There were Mardi Gras parades and a great atmosphere, but without the massive crowds. Also I could book into a hotel without breaking the bank! The road journey from Memphis to New Orleans followed the I-55 Highway for about 400 miles, including the 22 mile Manchac Swamp Bridge leading into New Orleans. The flat delta scenery along the way was uninspiring, although the sun setting over the bayous towards the end of the journey partly made up for it. I was concerned that New Orleans would still be badly affected by the devastation of Hurricane Katrina in 2005, but far from it. I found an attractive, vivacious, forward-looking city with very few signs of Katrina’s damage. It is now a strong contender to join my Top Ten Cities of the World – but which one do I drop out from the current list? • Mardi Gras Parades. 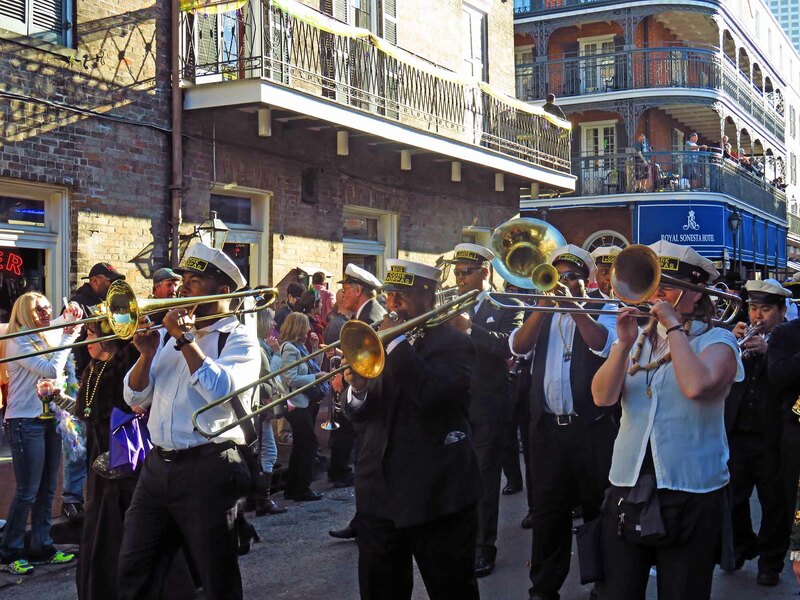 Although the few days leading up to Mardi Gras Tuesday have the highest number of parades, they actually start about a month before. Only a few go through the French Quarter, so we were lucky to see one that does, the Krewe of Cork. Add in a couple of parades in the Downtown area and we finished up weighed down by the many strings of beads thrown from the parades. Great fun – we senior travellers felt quite young again, back to our hippy days! • Bourbon Street. Famous, or maybe more correctly infamous, but with some great bars, including the Beach Bar where we spent a couple of entertaining evenings. • Street Performers. We listened to some excellent jazz bands and other musicians in Royal Street and Bourbon Street and enjoyed some acrobatic comedians in front of St Louis Cathedral. 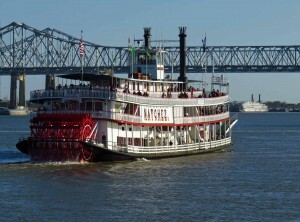 • Natchez Steamboat. This is billed as ‘the last authentic steamboat on the mighty Mississippi River’, although the boat turns out to be only 40 years old! 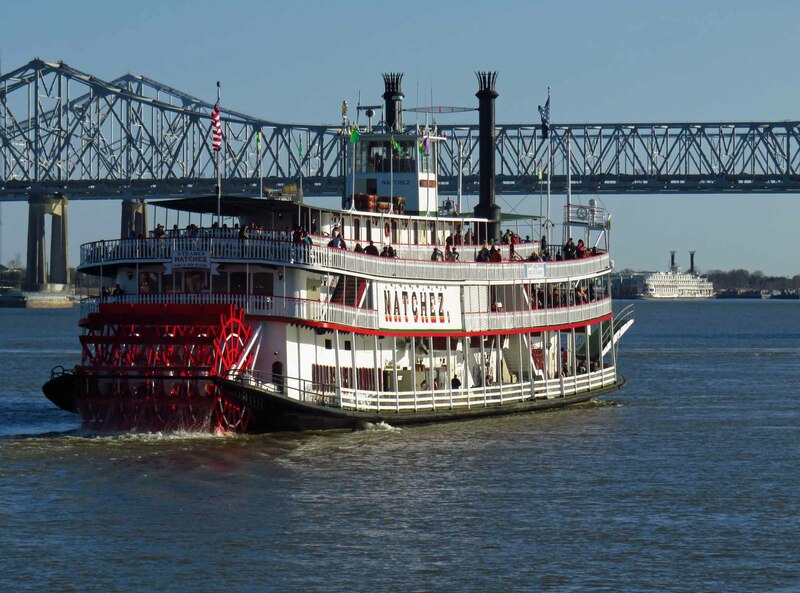 Nevertheless the two hour ride around the New Orleans harbour was a pleasant relaxing experience, listening to the jazz band – the Dukes of Dixieland – along the way. Seniors 65+ get a 10% discount. 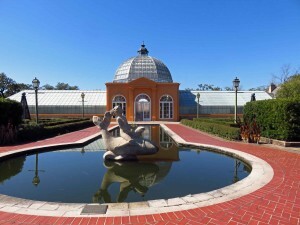 • New Orleans Botanical Garden. 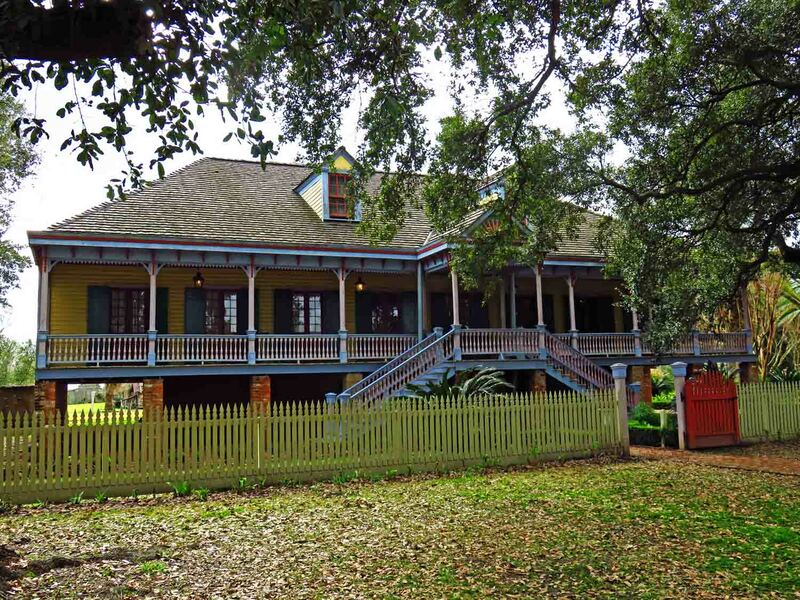 Although badly damaged by Hurricane Katrina, it has now been almost fully restored. The recently renovated Conservatory of the Two Sisters has a tropical rainforest environment with a waterfall and cave system. I was fascinated by the garden’s newest exhibit, a G-gauge train and streetcar layout based on the Greater New Orleans area with replica buildings made from natural materials. 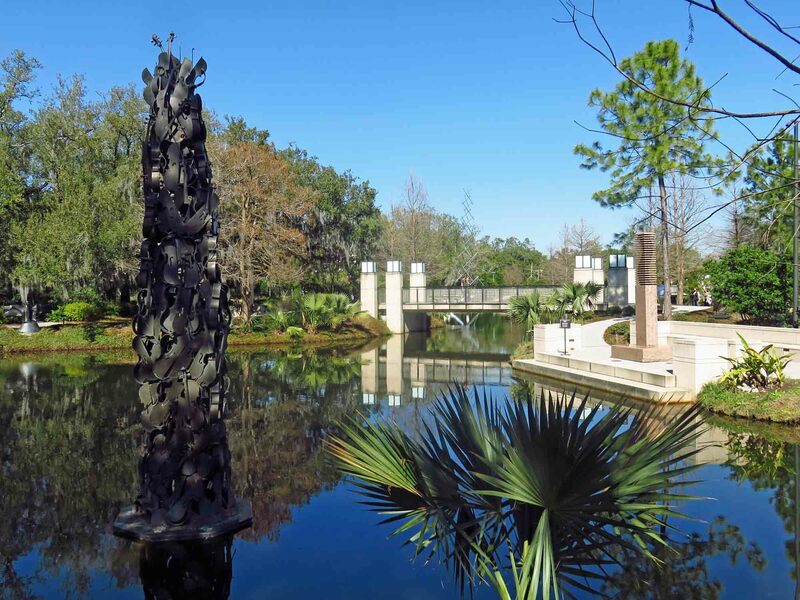 • The Sydney and Walda Bestoff Sculpture Garden, near to the Botanical Garden, contains 64 artworks, including sculptures by Barbara Hepworth, Pierre Renoir and Pablo Casal, arranged amid magnolias, oaks and pines around a lagoon. A great place to relax and recover from the excesses of Mardi Gras. 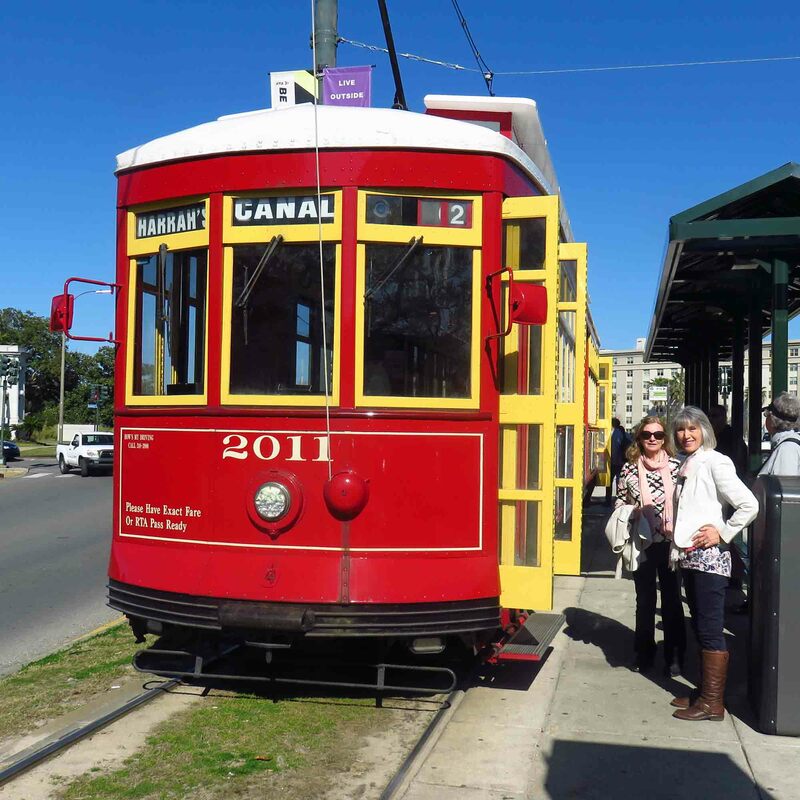 • The Streetcars in New Orleans were made famous by Tennessee Williams’ play ‘A Streetcar Named Desire’ and now provide a leisurely way to travel over three routes. We travelled from the Botanical Gardens down Canal Street to the French Quarter. 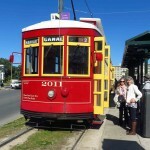 Some of the streetcars date back 150 years. Seniors 65+ pay just 40 cents per ride. • No visit to New Orleans would be complete without visiting one of the historic plantations in the area, so important in the development of the city. We opted for the Laura Plantation, a sugar plantation dating back to 1805. The informative tour provided a fascinating insight into the Duparc-Locoul family and Creole Louisiana as they changed dramatically over 150 years. A UK National Trust card gets a discount on entry charges. I was a unsure about driving in Central New Orleans, but found no problems. Toll charges were removed from the key artery, the Crescent City Bridges, in 2013 even though signs when crossing still refer to the Toll Plaza. 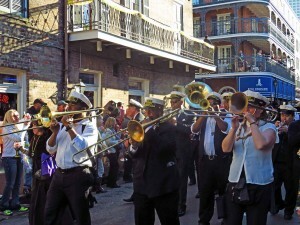 It is of course sensible to avoid the narrow streets of the French Quarter and to keep well away from any parades. Parking is relatively inexpensive at about $10 for the day in the central area and free of charge near the Botanical Garden – where you can take the streetcar to the centre. I stayed at the Candlewood Suites in Avondale on a flexible Senior Discount rate. 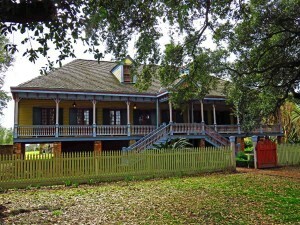 It is just 20 minutes drive from downtown New Orleans. Although I didn’t find it up to the standard of IHG’s other long stay brand, Staybridge Suites, I was pleased to get any accommodation just a week before Mardi Gras Tuesday and the rooms were large and staff very helpful.